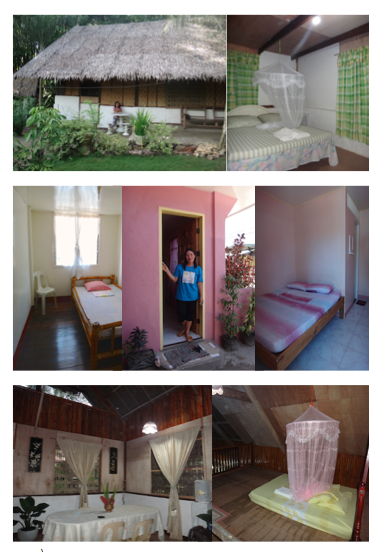 Homestay is a form of tourism where tourists experience living with a Filipino host family. 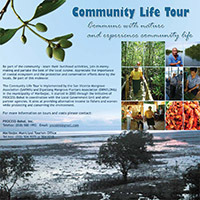 Tourists may learn from their daily way of life by participating in the host community’s distinctive cultural and traditional practices. The fee from homestays helps struggling communities maintain a sustainable livelihood. Rates are per person, per night. Prices are subject to change. Bookings are required a minimum 24 hours in advance. This is essential as it allows the host families time to prepare the room prior to guest arrival. If bookings are for multiple nights, a minimum deposit of one (1) night’s stay must be made at the time of confirmation. Deposits are non-refundable as per the cancellation policy. Payment of deposit is made via bank deposit. Bank account information will be provided as soon as the booking is confirmed. 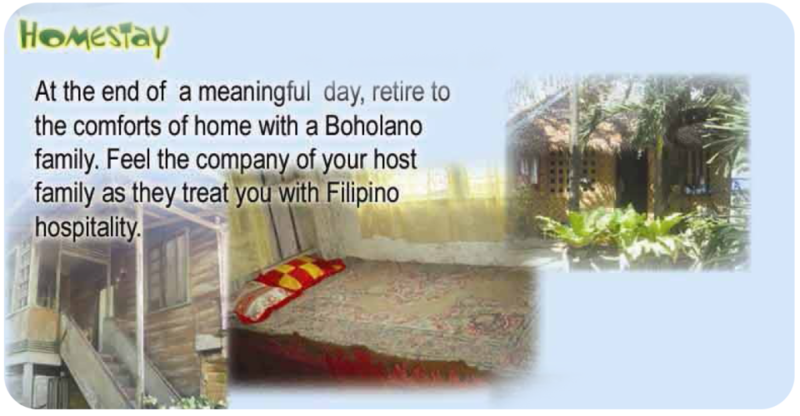 Payment of the remaining amount can be made directly to the homestay host, or at PROCESS-Bohol, Inc. office (Purok 5, Esabo Road, Tip Tip District, Tagbilaran City). PROCESS-Bohol, Inc. accepts CASH payment only. ATMs that accept international cards are only available in Tagbilaran City and Ubay. Cancellation fee of one (1) night’s accommodation will apply to any booking cancelled within 48 hours of arrival date. This fee will reimburse the host for their time preparing the room and purchasing food prior guest arrival. If bookings are cancelled before 48 hours of scheduled arrival date, the deposit can be transferable to another date. This is valid for 6 months from original booking date. Host families are currently located in Maribojoc (11km from Tagbilaran City) and Cabilao Island, Loon (30 km from Tagbilaran City). PROCESS-Bohol, Inc. are currently expanding the host family network across Bohol to include destinations Anda, Balilihan, and Ubay. We offer car service transfers to and from Tagbilaran seaport or airport to all homestays. The cost varies depending on the location of your host family. Prices start at PhP 500 (for 1+ persons). Rates include a complimentary daily breakfast. Additional meals (lunch / dinner) can be provided at a cost of PhP 200 per person, per meal. This can be paid direct to your host. Where possible, please advise all meal requests, and food allergies / preferences (e.g. vegetarian) prior to arrival. This allows time for your host to purchase supplies in advance. As an optional extra, accompany your host in their daily routine or have your host guide you around the local area. Cost: PhP150 for one activity (approximately 1 hour). Please note associated transport is an additional charge.